Screen Australia has announced $7.5 million in production funding for two feature film projects, four television series and one web series. The slate includes a new comedy feature film starring Jacki Weaver and Jack Thompson called The Chain Breakers, a crime drama series for Network 10 adapted from Michael Robotham’s acclaimed novel The Secrets She Keeps, and an online series from comedy group Aunty Donna based on their award-winning live show Glennridge Secondary College. Halifax Retribution: An eight-part series from Beyond Lonehand for the Nine Network that will star Rebecca Gibney as she reprises her role of forensic psychiatrist Jane Halifax. When Jane Halifax receives a letter threatening a terrible retribution against her family, she finds herself back in a world she thought she had left behind – profiling a diabolical killer. Writers include Roger Simpson (Brothers in Arms), Oscar nominee Jan Sardi (Shine), and Mac Gudgeon (The Secret River) – all of whom worked on the original series. Hungry Ghosts: A four-part drama series from Matchbox Pictures for SBS that explores the lives of three generations of Vietnamese Australian families dealing with the aftermath of war. The story begins on the eve of the Hungry Ghost Festival in Melbourne, when a powerful amulet is broken and a vengeful spirit is unleashed bringing the dead with him. The series will be directed by Shawn Seet (Deep Water) and produced by Stephen Corvini (Safe Harbour), Timothy Hobart (Wanted) and Debbie Lee (Please Like Me) and written by Timothy Hobart, Michelle Lee, Alan Nguyen, Jeremy Nguyen, and John Ridley. This project was financed with support from Film Victoria. The Secrets She Keeps: A six-part noir series by Lingo Pictures for Network 10 adapted from author Michael Robotham’s acclaimed novel of the same name. Written by acclaimed television writers Sarah Walker (All Saints, Bad Mothers, The Wrong Girl) and Jonathan Gavin (Offspring, Puberty Blues, Rush) the series follows two women from vastly different walks of life with one thing in common – explosive secrets that could destroy everything they hold dear. Their worlds collide in one shocking act that cannot be undone. Itch: A 10-part children’s live action-adventure series from Komixx that follows Itchingham Lofte, known as Itch, a science obsessed teenager who pursues an unusual and sometimes dangerous hobby of collecting all the elements on the periodic table. When Itch discovers a new element with extraordinary powers he is forced to go on the run to protect it from sinister organisations who want it for their own ends. The series is produced by Amanda Morrison (The Art of Ian Strange) and Tania Chambers (A Few Less Men) and is written by Ron Elliott, Heather Wilson, Roger Monk, Jessica Brookman, Melanie Halsall and Dan Berlinka. The series was financed with support from Screenwest, Lotterywest and the West Australian Regional Film Fund. Lone Wolf: A political thriller and contemporary adaptation of Joseph Conrad’s novel The Secret Agent that uses surveillance, phone and computer camera coverage to tell the story. Written and directed by Jonathan Ogilvie (The Tender Hook) it follows the story of Winnie, a young woman overprotective of her disabled brother Stevie, who runs a struggling political bookshop with her boyfriend Conrad. Her efforts to provide security for her brother are obliterated when Conrad becomes entangled in an act of terrorism. The Chain Breakers: A comedy about four Vietnam veterans famous for escaping out of a POW camp, who find themselves in a new hell: The Hogan Hills Retirement Home for Returned Veterans. Each of them have an unrealised dream they want to achieve, so they band together to escape again. The incredible cast includes James Cromwell, Dennis Waterman, Jacki Weaver, Shane Jacobson and Jack Thompson. The feature is written by Luke Preston (Wasted) and will be produced by Antony I. Ginnane (Patrick) and David Lightfoot (Wolf Creek) and directed by Mark Lamprell (A Few Less Men). A cross between Grumpy Old Men and The Great Escape, this comedy-drama is about four mates reconciling after years apart to teach each other that it’s never too late to chase your dreams. This project was developed with support from Film Victoria. 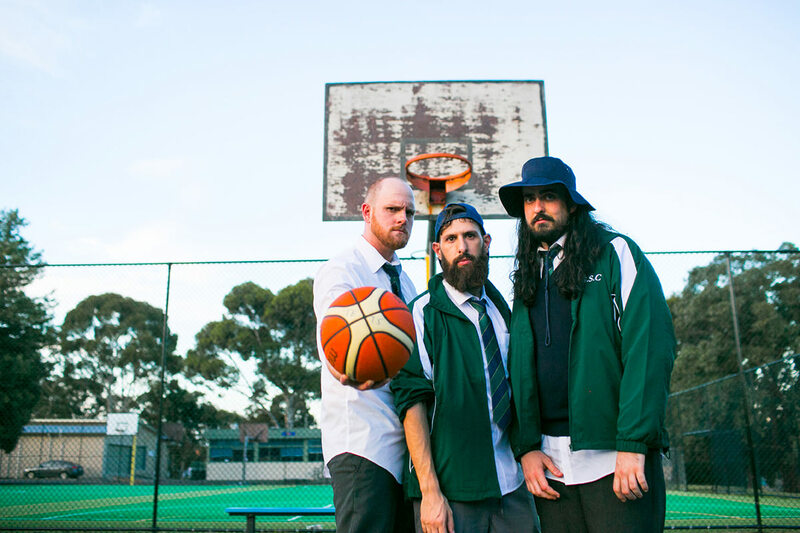 Glennridge Secondary College: A 14-part sketch comedy series for YouTube based on Aunty Donna’s award-winning live show of the same name. The new series will be a mix of absurd, wild, filmic and animated sketches that lampoon the everyday happenings of a suburban high school. Mark Bonanno, Broden Kelly, Sam Lingham, Zachary Ruane, Max Miller and Tom Armstrong have created the series. This will be the first series made by Aunty Donna’s new production company Haven’t You Done Well Productions.